Strippers are so last season. Express your inner-artist as you sip wine, laugh with the girls, and get inspired by creativity on canvas. Keep it clothed and paint something beautiful, while you release your inner-Picasso! Choose from our menu of inspiring images that promise to bring out your inner-Picasso, while you have tons of fun in this unforgettable painting adventure. Prefer to have more sizzle? We can coordinate a handsome male model as your muse, as you jump into beginner figure sketching! Walk away with memories to last a lifetime, as well as your very own artwork. Enjoy what party guests have coined "the best party I've even been to!" 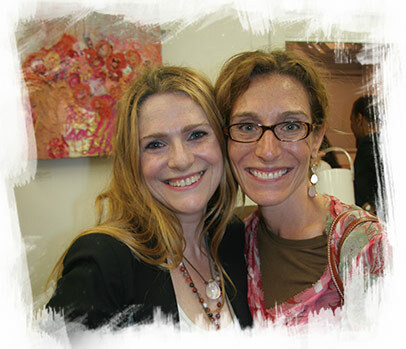 with The Art Studio NY's customized, fun, and creative party celebrations. • We do all the planning, set up, and clean up. Just show up! SO much fun! 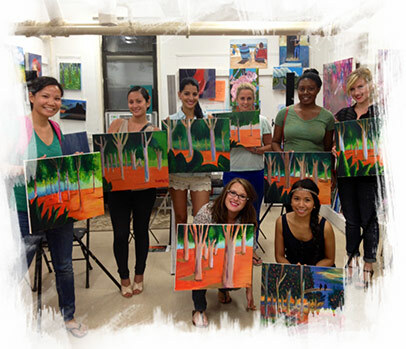 My girlfriends arranged a painting party for 25 of us at The Art Studio NY. Such a great way to celebrate my upcoming wedding this summer. We all walked away with amazing artwork and memories!